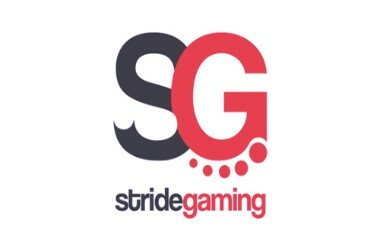 In order to try and grow its own brand, Stride Gaming is looking at several strategic options. One of these options is to consider the potential sale of the company, it was confirmed yesterday. The UK-based gaming company has already looked into a number of growth options to try and ensure that it expands in the near future. The confirmation of its possible sale came just a day after it was rumoured and reported by The Times that this was taking place. Yet, the brand also made a correction to other information that was reported by the same news outlet. It was The Times that reported that Stride Gaming had been fined twice by the UK’s Gambling Commission. In actuality, the gaming company confirmed, it had only received a single fine from the regulatory body. This was placed on the subsidiary of Stride Gaming known as Daub Alderney and it cost the brand £7.1 million. The huge fine came as the brand was accused of failing to protect its customers. It is the Stride company that acts as the operator behind platforms such as Lucky Pants Bingo and the Regal Wins casino site. The company is especially well-known within the bingo sector of the UK gambling market, with a large 11% share of the entire sector. This brings Stride around £2.8 billion every year. Nothing has been set in stone by Stride Gaming. In the statement that the company released yesterday, it simply said that it is reviewing the possibility of consolidating via the sale of the brand. However, no offers have been made for it as of yet, with the company quick to acknowledge that even if one was made, there’s no guarantee that the board would follow through with such. Instead, the statement focused more on the company’s ability to win and retain mass market customers for its bingo and casino platforms. Additionally, Stride said that its options were not solely limited to the sale of the company for additional growth. Another possibility is to implement a “more aggressive” strategy for expansion across the United Kingdom. To add to this, there’s also the option of expanding via the acquisition of operations throughout the UK or potentially across international markets as an alternative. Stride said that it would like to take advantage of the well-known disruption that has been taking place in the industry, thanks to regulation and fiscal changes. One final thing that Stride made sure to note, is that the board of the company is very much confident in its own abilities to be able to navigate through such market pressures. Because of this, it is thought that the brand will be able to capitalise on various growth opportunities within the UK’s market. A further report on any progress made one way or the other is expected to come to light before the end of February this year.